In the week before US Vice President Mike Pence visited Brussels and pledged America’s “steadfast and enduring” commitment to the European Union, White House chief strategist Steve Bannon met with a German diplomat and delivered a different message, according to people familiar with the talks. Bannon, these people said, signalled to Germany’s ambassador to Washington that he viewed the EU as a flawed construct and favoured conducting relations with Europe on a bilateral basis. A White House official who checked with Bannon in response to a Reuters query confirmed the meeting had taken place but said the account provided to Reuters was inaccurate. “They only spoke for about three minutes and it was just a quick hello,” the official said. Western Europe, he said at the time, was built on a foundation of “strong nationalist movements”, adding: “I think it’s what can see us forward”. One source briefed on the meeting said it had confirmed the view that Germany and its European partners must prepare for a policy of “hostility towards the EU”. A second source expressed concern, based on his contacts with the administration, that there was no appreciation for the EU’s role in ensuring peace and prosperity in post-war Europe. “There appears to be no understanding in the White House that an unravelling of the EU would have grave consequences,” the source said. The White House said there was no transcript of the conversation. The sources who had been briefed on it described it as polite and stressed there was no evidence Trump was prepared to go beyond his rhetorical attacks on the EU – he has repeatedly praised Britain’s decision to leave – and take concrete steps to destabilise the bloc. 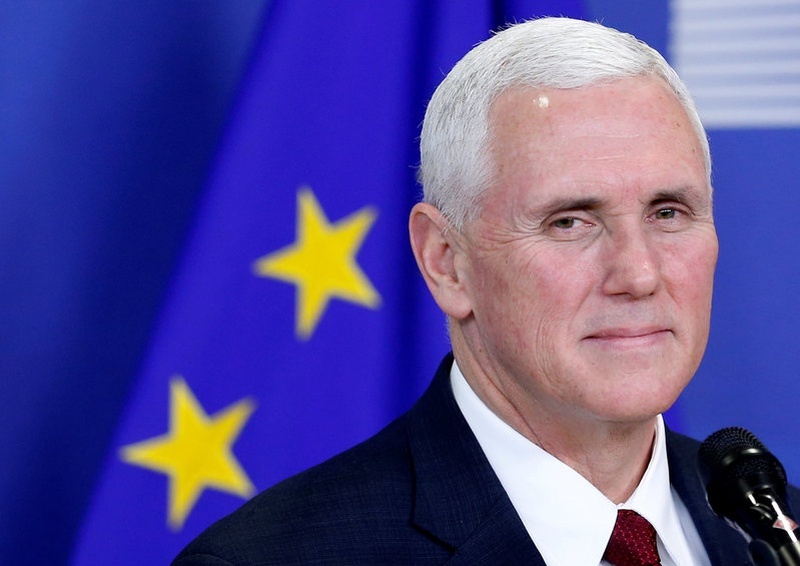 But anxiety over the White House stance led French Foreign Minister Jean-Marc Ayrault and Wolfgang Ischinger, chairman of the Munich Security Conference, to issue unusual calls last week for Pence to affirm during his visit to Europe that the US was not aiming to break up the EU. “President Trump and I look forward to working together with you and the European Union to deepen our political and economic partnership,” he said. “We are worried and we should be worried,” Thomas Matussek, senior adviser at Flint Global and a former German ambassador to the Britain and the United Nations, told Reuters. The worst-case scenario from Europe’s point of view was described by Ischinger in an article published last week, entitled “How Europe should deal with Trump”. He said that if the US administration actively supported right-wing populists in the looming election campaigns it would trigger a “major transatlantic crisis”.